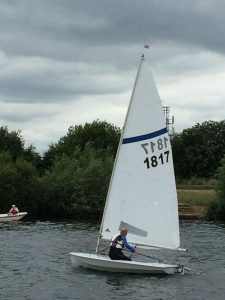 After trying out a wide range of boats over the season, Paul Jago has decided that maybe keeping things as they were is best. Returning to his Streaker he stormed to an easy win on Wednesday night in difficult sailing conditions. Only four out of the seventeen starters managed five laps.